Now that summer has arrived in full, most homeowners are taking the opportunity to get things in order around the house, but just because summer is the time for home improvement doesn't mean that you should lose sight of the other critical components of your home that you and your family rely on during the course of the average day. Your plumbing system in particular is a very important component of your home, and as it so happens, there are a number of issues that tend to become a bit more common during the summer months that you should be on the lookout for. 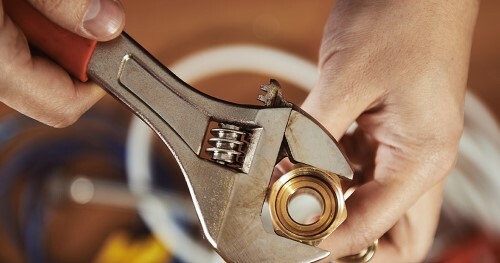 In an effort to help you keep your home's plumbing in the best condition possible over the coming months, our team of professionals have taken the time to put together this short list identifying what a few of these issues are and what you can around your home to help prevent them from becoming a problem in the upcoming summer season. If you find yourself with any of these issues on your hands, give our team of experts a call and let us provide you with the repairs you need to get things back to normal in no time. For many homeowners, summer is the time for cooking out, and as such, clogged disposals tend to become a more common issue than they do at other times of the year. If you are one of the many homeowners out there who loves firing up the grill and preparing a meal for family and friends, one of the most important things you can do this summer to prevent unwanted disposal clogs is simply make sure that anyone helping you in the kitchen or with cleanup is on the same page as to what can safely be disposed of down there and what can't. A number of common cookout foods and byproducts belong in the trash as opposed to down your disposal where they can lead to serious clogs, including corn husks, fruit rinds, and leftover cooking oils. Guard against clogs this summer by making sure everyone helping in the kitchen is on the same page. If your property tends to collect a great deal of water when it rains, or you happen to have a number of larger trees around your yard, you could be in danger of having to deal with sewer line backups. While sewer line backups can happen any time of the year, they tend to be more common during the summer when rain is falling more often and in greater amounts and tree roots are growing in search of moisture. If too much water is able to find its way into your sewer lines, or tree roots are able to force their way in, it could cause all of that water and waste to start backing up into your home. If you notice water backing up into your drains this summer, don't hesitate to call in the pros right away and let them clear out any blockages that might be contributing to the issue. With the kids and their friends out of school for the summer and all hanging around your house, your toilets are going to be seeing a good deal of extra use during the days, and that means that clogs are going to become much more likely in the coming months. While most toilet clogs are fairly easy to sort out, some can be much more difficult, and even require professional help. The easiest way to prevent these from becoming an issue is to make sure your kids and their friends understand what can safely be flushed and what can't, like paper towels, disposable wipes, etc., and ensure everyone is on the same page as to how much toilet paper is a responsible amount to use before flushing. Taking these simple steps can save you a lot of pain and headache in the coming months.